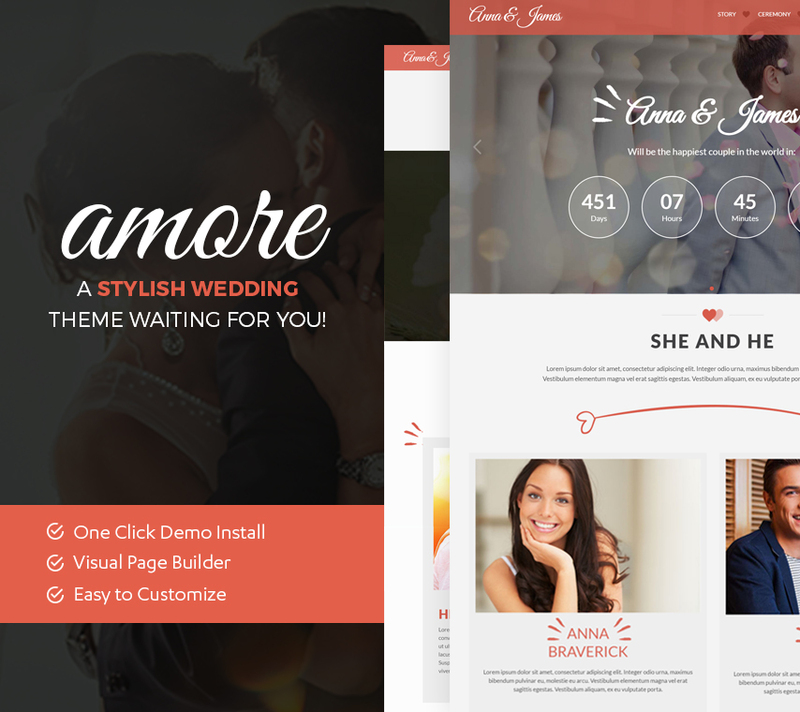 Amore WordPress theme is a lovely, unique and elegant wedding theme. It is perfect for your wedding event. It includes all the functionality needed for a wedding website. To customizes it, no code knowledge is necessary. It has a theme settings panel, for which you can change all colors colors, fonts and images of theme, and see the results instantly. It’s very easy to use and make it in your style. If you want you can also import our ready demos with just one click and start publishing!